Wendy Garland Abbott, age 63, unexpectedly lost her life in a severe flood on the evening of Wednesday, June 20, 2018 in Upper St. Clair Township. A devout Christian, and cherished family member, Wendy is the daughter of D. Abbott Stevens, her father the late Harry E. Abbott, stepfather Robert T. Stevens, Sr., sister of Gail Abbott Fass & Ted Fass, Susan Abbott, nieces and nephews, Allison Kapelner, Jordan Kaplener, Rachel Betlyon, Andrew Betlyon and Grey “Chase” Hoff, Jr,, and great-nephews Jayson Kaplener, Nolan Betlyon and Trevor Betlyon. Wendy was a bright and constant source of joy and care for her family, and her memory will be forever treasured. Wendy was born July 16, 1954 in Pittsburgh, PA, graduating from Carlynton High School in 1972, and later earning a Bachelor of Arts degree from Chatham University. Wendy later moved to Houston, Texas where she worked with Transco Energy Corp., specializing in the audio/visual and graphic arts, and was an outstanding volunteer for the Society for Technical Communication. Wendy later returned to Pittsburgh to be with her family and was the primary caretaker for her elderly parents until the time of her death. 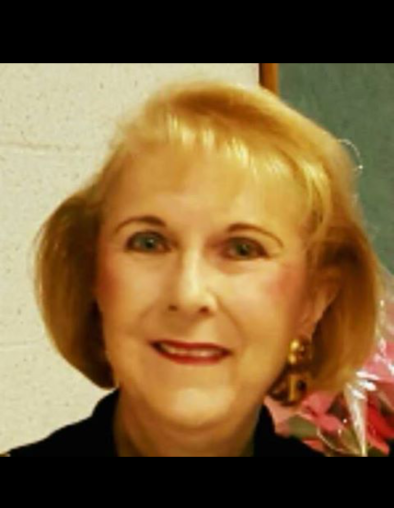 Wendy was a beloved and active member of Carnegie Presbyterian Church, where she served as a Deacon, held a position on the Finance Board, and regularly blessed her church family by teaching in vacation bible schools and other bible studies. Wendy loved Jesus deeply and would want her family and friends to know she is in heaven, where she is in perfect peace and joy now. Wendy was an active member of the St. Clair Women’s Club, the Association of University People (AUP), and the American Society for the Prevention of Animal Cruelty (ASPCA), the Pittsburgh area Jitterbug Club, as well as the activities at the SNPJ Club. Wendy enjoyed bowling, movies, her special trips to Kennywood Park, and the special times she shared with her family. Visitation 6-8pm Monday, 2-4pm and 6-8pm Tuesday at Henney, Bradwell & Nirella Funeral Home, 524 Washington Ave., Carnegie. Funeral Service will be held Wednesday 10:30am at Carnegie Presbyterian Church, 219 Ewing Rd., (Collier Twp.) Carnegie. ANYONE THAT IS PLANNING TO ATTEND THE FUNERAL SERVICE ON WEDNESDAY, PLEASE MEET AT THE CHURCH.